The Intimates is an intriguing novel which centres around an extravagant evening of entertainment and celebration, planned and prepared solely for the benefit of a group of close friends known as 'The Intimates'. The members of the group come from a variety of social, financial and family backgrounds but they are inextricably linked through their shared experiences, their mutual desire to achieve success in their chosen fields, their deep, personal, and complex relationships with one another, and through their uniquely different but equally significant dreams of self fulfilment. Each one has an individual talent which they have attempted to utilise in order to achieve their life-long goals and reach their full personal potential, but each has achieved varying degrees of success. As the novel unfolds and the events of the party develop conversations, situations and incidents reveal deeply psychological and intricate reasons for the wide ranging and complex variety of success stories achieved by 'The Intimates' giving a deep and fascinating insight into the web of emotions and the impact of relationships within and external to the group. Long held bitterness, hidden love, deep rooted insecurity, manipulative actions, and soul destroying secrets, are raised to the surface, exposed, discussed and reacted to in emotional, passionate and violent ways. The reader is taken on a journey from a tranquil and sober party opening, through a vast array of intensive and moving experiences which end in an aggressive crescendo where 'The Intimates' deepest fears, angers, disappointments and pain erupt physically and publicly. This journey makes the book fascinating, moving, dark and sometimes sinister but it also provides an intriguing reflection on the desperate and vulnerable elements of human nature. The author uses his psychological expertise to delve deeply into the characters' minds and souls which at times can be disturbing, but on the most part is compelling. Throughout The Intimates, Mankowski uses rich and intensive language to construct the events of the party and to convey the thoughts, emotions and intentions of the characters. He uses intricate and complex vocabulary to provide depth to his writing, and the pace of his work rises and falls as the various scenes unfold and the history of 'The Intimates' is unravelled. The novel as a whole is fairly slow in pace until the climactic final stages and the focus of the content seems narrow at times as the entire novel is based on the events of a single evening. There are in fact no chapters within the book, the narrative is a continual piece of writing with an occasional paragraph break, reflecting the continual stream of events which take place throughout the evening in question. Despite the initial lack of pace and the somewhat narrow focus within the book however, The Intimates is expertly written. Mankowski's ability to manipulate language and to delve so deeply into the psyche of his characters, makes the book intriguing, captivating and thought provoking. Its construction has been carefully considered and the overall effect of its content is bizarre and interesting to read. The characters throughout The Intimates behave in ways which are unpredictable and somewhat alarming. Alcohol is suggested on numerous occasions as the reason for the unusual and uncharacteristic behaviour of the party guests but I also believe that the party host had a vital role to play in the events which unfolded as she exposed the true nature, personalities and feelings of her friends. The purpose of the evening was to invoke emotions and situations which had been bubbling and simmering amongst the friends for many years. The host constructed the evening to achieve her own aims for her guests, to manipulate them into expressing their beliefs and deepest insecurities, and to produce a result which enabled each of 'The Intimates' to move on with their lives and to be freed from the burdens and barriers which had restrained them for so long. Her aim was to knock down psychological and relational walls and this was certainly achieved. Mankowski, through his writing, portrays his characters transforming from placid, restrained and controlled individuals to expressive, honest, volatile and vulnerable human beings. His ability to construct and develop his characters is formidable and the execution of this skill certainly added to the compelling nature of the book. 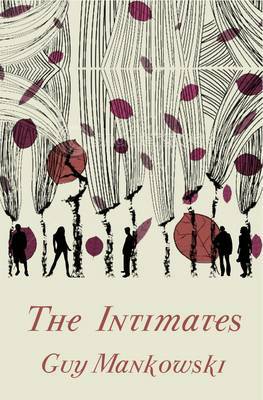 It would be untrue to say that The Intimates is an 'enjoyable' read but it is certainly fascinating, intriguing and curious. It left me with feelings of sadness and despondency but also with a sense of hope and expectation for the future. It is a deep and challenging book which requires the reader to reflect and contemplate but overall, it is definitely worth a read.